We are glad to announce the completion of our WHMCS module, designed for white label e-mail hosting resellers. 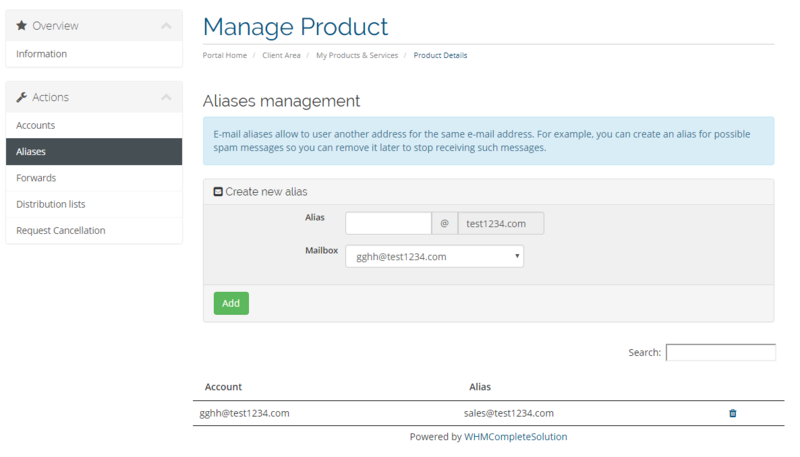 This module offers the possibility of selling PolarisMail accounts directly from the WHMCS interface and lets WHMCS users integrate directly with our management interfaces. Our WHMCS e-mail hosting module lets resellers add, remove and suspend mailboxes as well as manage aliases, forwards and distribution lists. For a complete feature list, ( such as setting a vacation message, managing Spam filtering and delivery rules, etc.) use the “Control Panel” direct link from WHMCS module. You will be redirected to our white-label User Panel. In addition, for each user you will also have the possibility to login directly to Webmail. This module is the perfect solution for WHMCS hosting resellers wishing to offer e-mail hosting accounts from PolarisMail to their customers. To start selling our white label e-mail hosting solution as a Reseller and take advantage of our new WHMCS module contact us now and we’ll get you started!